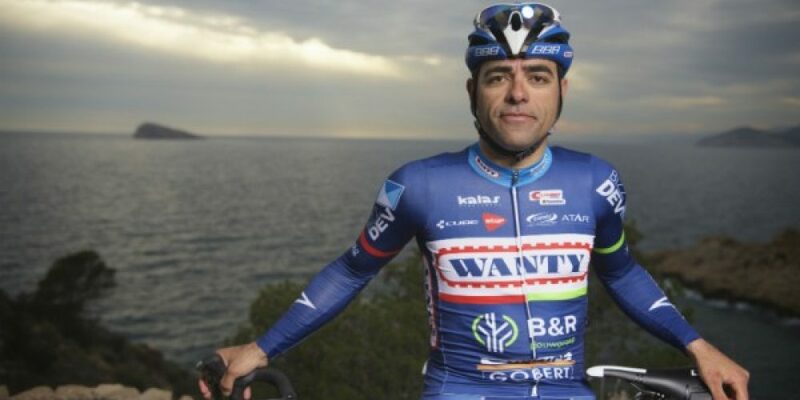 Danilo Napolitano will also ride for Wanty-Groupe Gobert in 2017.The Italian rider extended his contract for one year. It will be his fifth season in Jean-François Bourlart’s team. “I’m happy to stay with Wanty-Groupe Gobert. I feel at home iwith this team”, Danilo Napolitano said. This season Danilo Napolitano was often the lead-out man for Kenny Dehaes, a new role for him. “It was a nice experience for me. Most of the time in my career I was the sprinter. My role changed in the team. It was a pleasure to help Kenny Dehaes. I learned a lot this year. We make a good duo”, the 35-year-old rider. The Italian rider finished nine times in the first ten of UCI-races. “I could play my own card in some races. I got nice results. I was very close to a victory, this is my only regret for this year. Next season I really hope to win again”, he concludes. Danilo Napolitano already won 29 races in his career. Confirmed squad for next season: Simone Antonini, Frederik Backaert, Jérôme Baugnies, Thomas Degand, Kenny Dehaes, Tom Devriendt, Fabien Doubey, Wesley Kreder, Guillaume Levarlet, Guillaume Martin, Mark McNally, Xandro Meurisse, Danilo Napolitano, Robin Stenuit, Guillaume Van Keirsbulck, Kevin Van Melsen, Pieter Vansepybroeck.